Moscow is letting Washington know that it considers the Russian-Iranian partnership its strategic priority and will develop it even in those areas that the U.S. believes are "gray zones." Photo: Planes seen in the Hamadan air base in Iran. The Russian air force’s use of an Iranian military base is the beginning of a new round in the fight for a political result in the Syrian conflict, in which the participants will no longer be bound by former obligations and scenarios. However, there is still no talk of a full-fledged military union between Russia and Iran. The appearance of Russian pilots at Iran’s Hamadan air base is no accident and is not related only to the liberation of Aleppo. It was preceded by an entire chain of events bearing witness to the formation of a completely new context in the eastern part of the Middle East. This concerns the meeting of the "Caspian Troika" in Baku on Aug. 8, which set a new level of economic cooperation between Russia, Iran and Azerbaijan, as well as the Aug. 9 visit of Turkish President Recep Tayyip Erdogan to St. Petersburg, which significantly reduced the tensions in bilateral relations between Moscow and Ankara, and the rapid launch of Russian-Iranian economic interactivity, primarily in the fields of transportation and energy. In other words, by the time Russia and Iran began speaking of the air base, Moscow had already guaranteed itself a reliable political base and a package of agreements with Iran on economic and social issues. Consequently, this important military-political move was only natural, proving that Russia and Iran are trying to be the decisive players not only in the Syrian conflict but also in the entire Middle East. Certainly, in the evolving situation the U.S. appears to be among the losers. 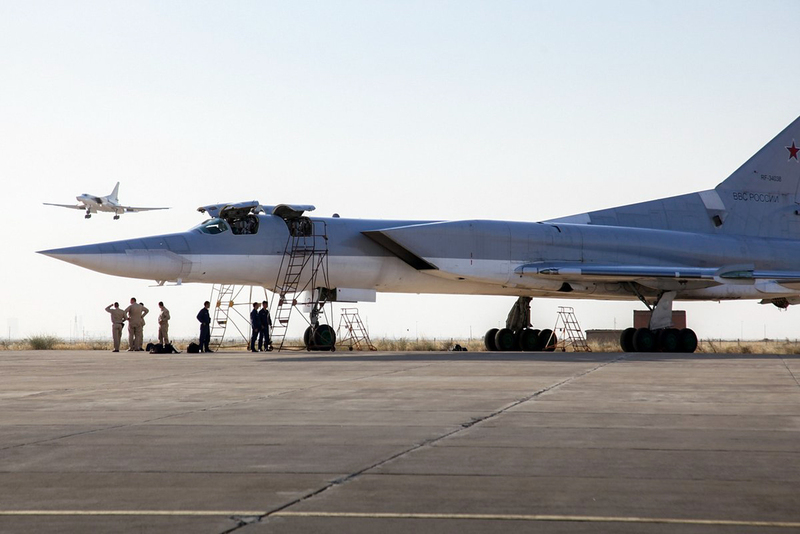 The Russian-Iranian agreement on the Hamadan air base has demonstrated that Moscow does not consider Russian-American relations a top priority, or at least one for which it should sacrifice its tactical achievements and positions. Moreover, this shows that "the honeymoon" in American-Iranian relations has ended with a high degree of distrust towards Washington's policy, including towards its capacity to influence its close ally, Saudi Arabia. The U.S. may have to prepare for the possibility of losing its "veto right" on the development of political and military relations with Iran, and not only with respect to Russia but also to other countries. Iran's consent to have Russia deploy its military contingent on its territory is also a sign of Iran's understanding of how important it is for the country as a regional "power center" to resolve the Syrian conflict on its terms and not on those of the West. In this situation the U.S. must blame its own incapacity to understand the "limits of compromise" on the part of its partners and competitors. Significantly, after Russia's deployment of its aviation to the Hamadan base, China, which for a long time had remained on the sidelines, seems to have decided to expand its assistance to the Assad government in Damascus. Here the issue is not so much about supporting the Syrian regime as it is about China's desire to participate in future political and economic processes. What signal is Moscow sending? If we are to speak about those political, or better, military-political messages that Russia has sent by beginning to use Iranian territory, we can find three interpretations. The first is that Moscow is letting Washington know that it considers the Russian-Iranian partnership its strategic priority and will develop it even in those areas that the U.S. believes, from the viewpoint of the earlier international agreements on Iran, are "gray zones." This does not mean that Moscow is completely renouncing the consensus strategy that the UN Security Council suggested for restraining Iran's political-military ambitions, but surely this policy's revision is taking place right before our eyes. And if this experience is successful, moves that will lead to an unprecedented convergence between Iran and Moscow are also possible in the future. The second is that Russia is disillusioned by the U.S.'s vision of what constitutes "moderate" and "immoderate" opposition in Syria. Irritation with Washington's continuously unclear position had been accumulating for several months, and it was difficult not to notice it. It is possible that the U.S. has significantly miscalculated, overestimating Moscow's readiness to negotiate regarding the list of terrorist organizations. This miscalculation may substantially weaken the position of organizations relying on American help on the battlefield in Syria and consequently, in future peace regulations. In any case, if Russia and Assad, with Iran's help, obtain significant progress in Aleppo, the former negotiation model will have to be changed: A large part of the moderate opposition organizations will no longer have much power in Syria. The third is that Russia believes that destroying the Syrian opposition in Aleppo is such a priority that it is willing to, at least temporarily, sacrifice its contacts with the U.S. and the EU on the Syrian issue. The deployment of Russian jets at Hamadan and the drastic intensification of the bombings of the opposition in Aleppo is not only Moscow's attempt to lay down a new ace in the game with the West. Behind the move may lurk Russia's disillusion with the possibility of a political dialogue with the current White House and a readiness to postpone the dialogue for a future time, when a new administration will establish itself in Washington. Dmitry Yevstafyev is an expert political analyst and professor at the Higher School of Economics National Research University in Moscow.